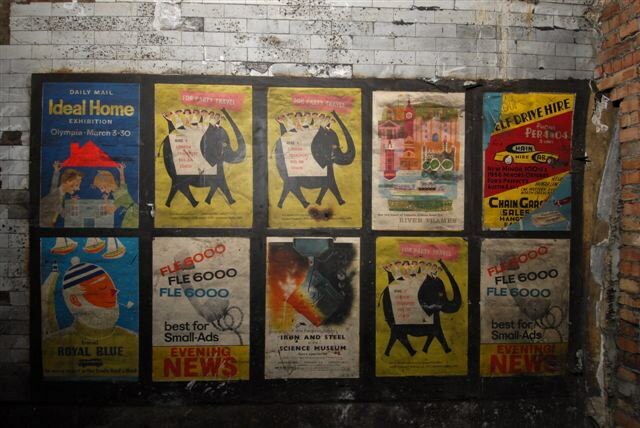 From within the dark and gloom of a disused passageway at Notting Hill tube station in West London, comes an astonishing array of vintage posters from 1950s bursting with colour and offering a fascinating insight into London’s past. 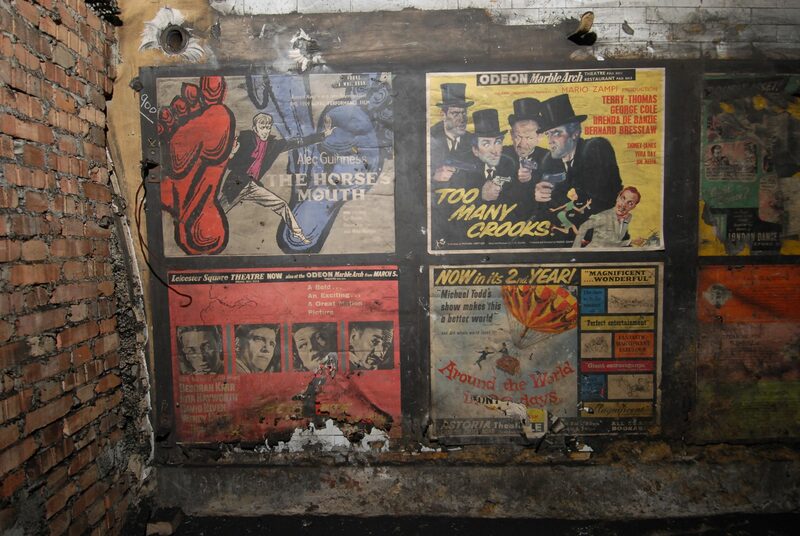 The posters were discovered in 2010, when workman were completing modernisation work at the tube station’s old lift passageway. 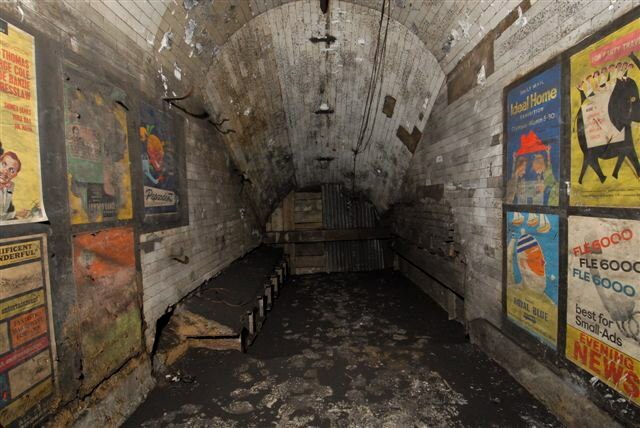 In the 1950s the lifts were removed from the station and replaced with escalators and the passageway had remained unused since. 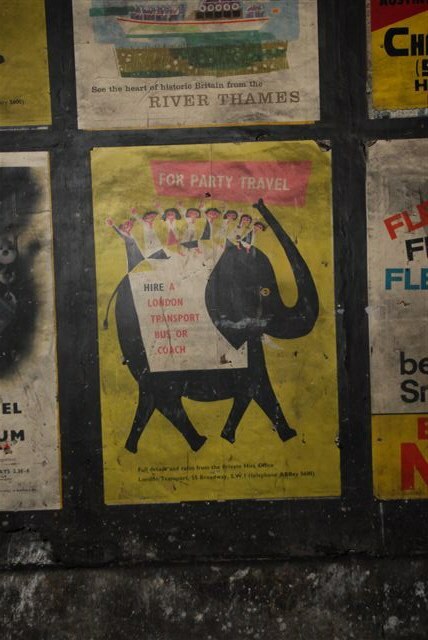 The posters include advertisements for the Ideal Home Exhibition and Pepsodent toothpaste, and a host of evocative movie posters, including these striking designs promoting two British comedies released in 1959. 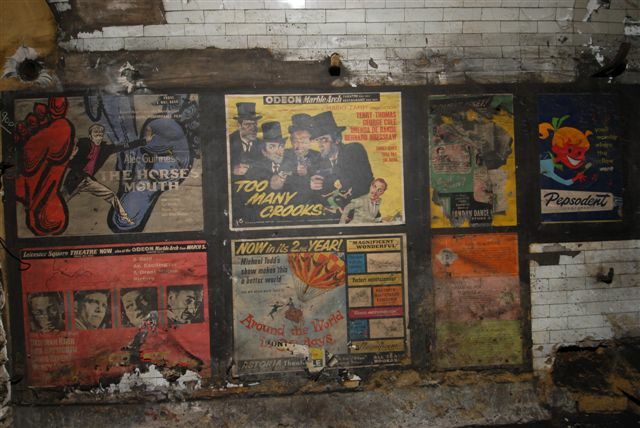 Movie posters show the films currently being screened nearby, from The Horse’s Mouth starring Alec Guinness (top left) to Too Many Crooks (top right) featuring Terry Thomas and George Cole. 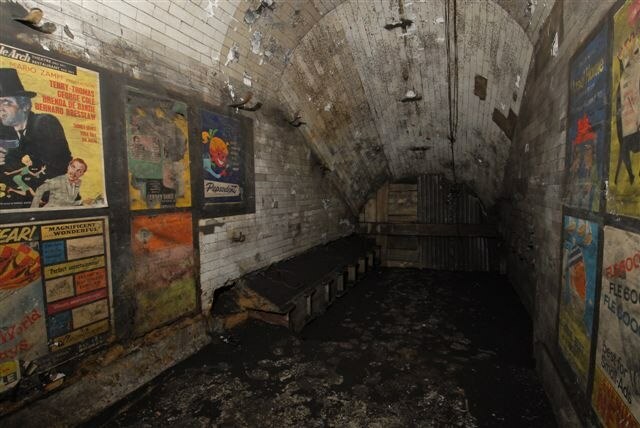 Howard Collins, chief operating officer for London Underground said: “This is a truly incredible find. 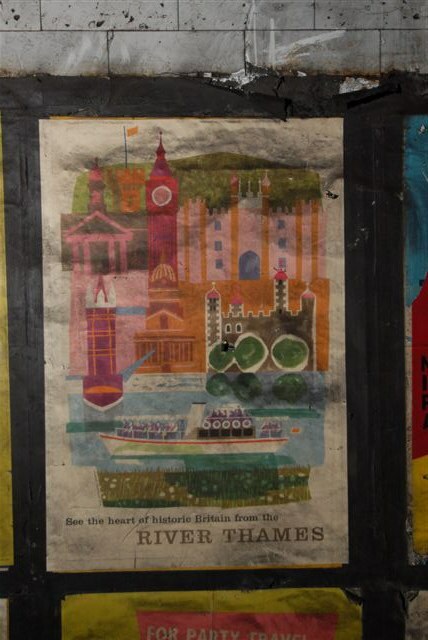 Heritage is a huge part of London Underground’s identity and these 1950s vintage posters show what a rich history the London Tube has. 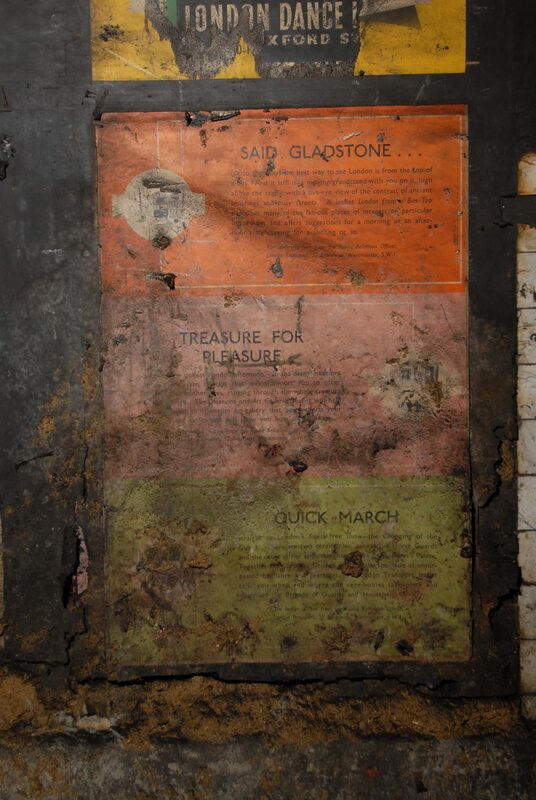 These fascinating treasures were found while work was being carried out to upgrade the station for our customers. 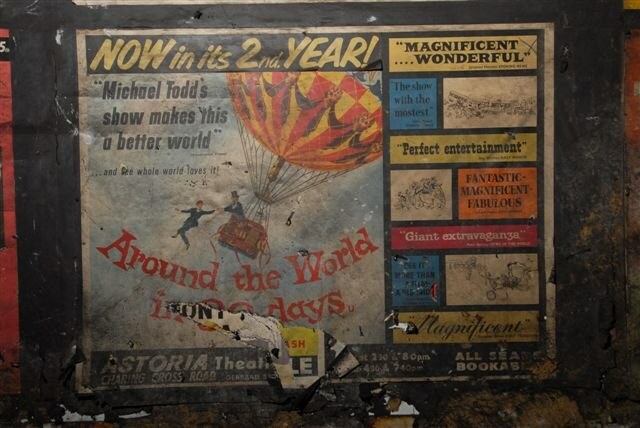 Until we can find a way to remove the posters without damaging them, these delicate historical pieces will remain where they were found. 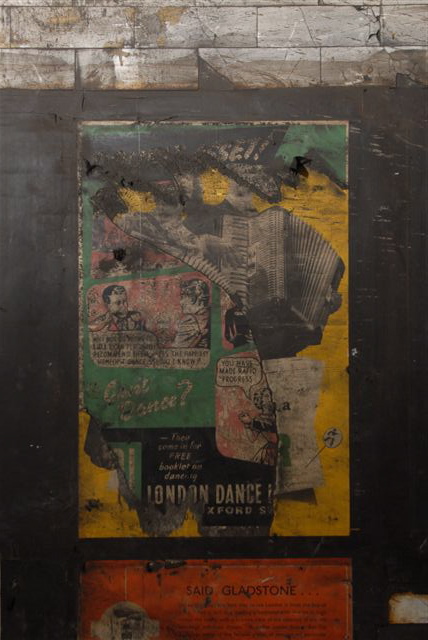 We will ensure that they are kept secure and well-looked after”. 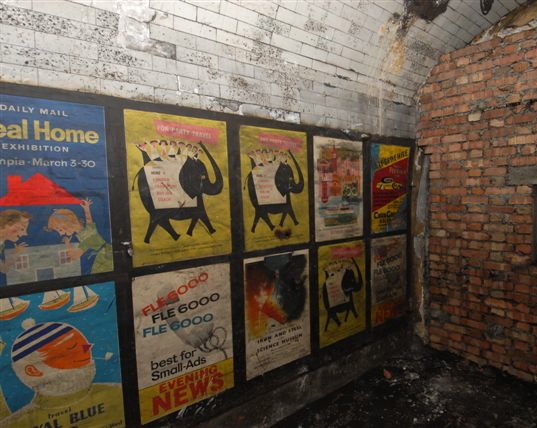 The posters highlight the style of art used to grab the attention of people as they passed by. 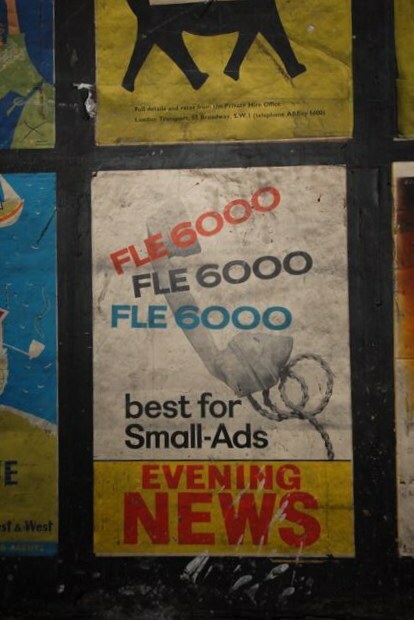 The 1950s developed its own advertising style following on from the earlier art deco movement in the 1930s and away from the strident propaganda that was used extensively during World War II. 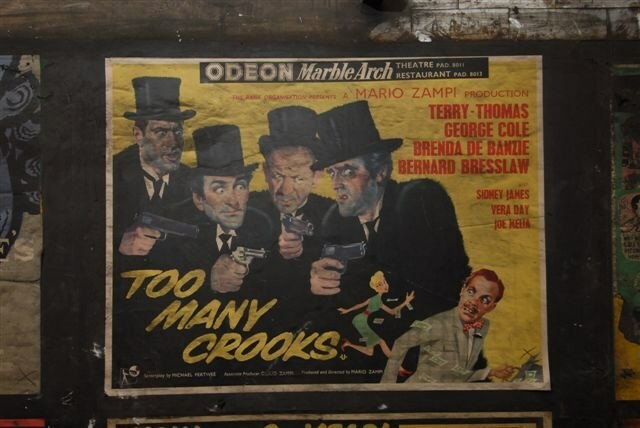 Too Many Crooks (above): A bungling gang of inept crooks kidnaps a millionaire’s wife (Brenda de Banzie), but when husband Terry-Thomas refuses to pay the ransom, she throws in her lot with the crooks. 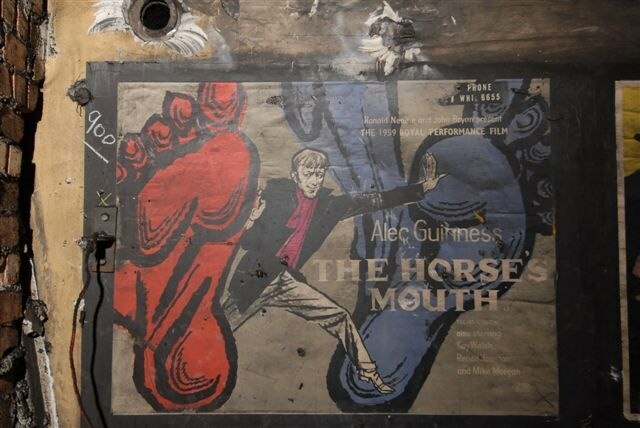 The Horse’s Mouth (below): Chosen for the 1959 Royal Film Performance, this satirical comedy based on the novel by Joyce Cary stars Alec Guinness as a roguish painter newly released from prison. 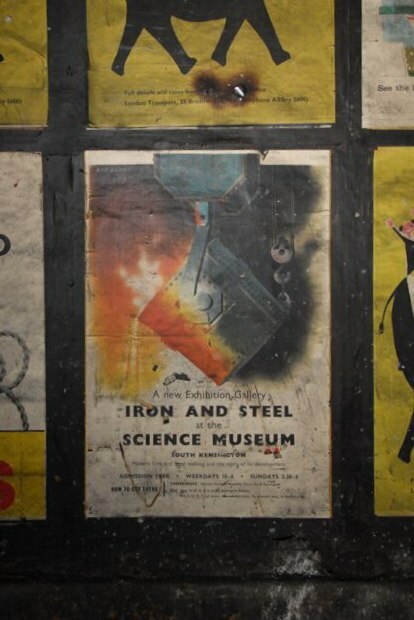 The movement in poster art style during the 1950s gave advertisers and designers an opportunity to draw the public’s attention away from advertising movies to consumer goods. 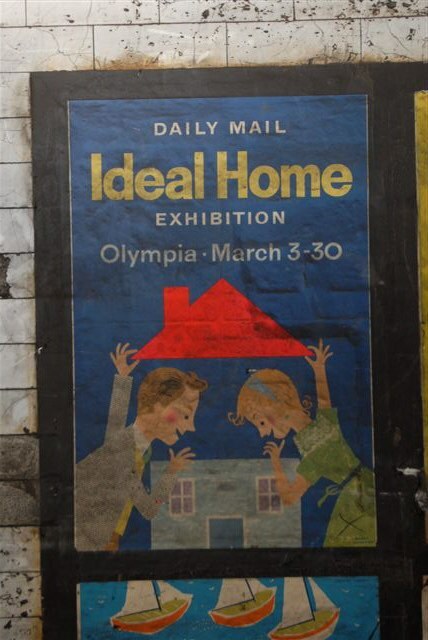 Some aspects of London life have not changed such as the poster advertising the Ideal Home Exhibition. However the one featuring a hire car garage off the North Circular shows how much the city has grown. 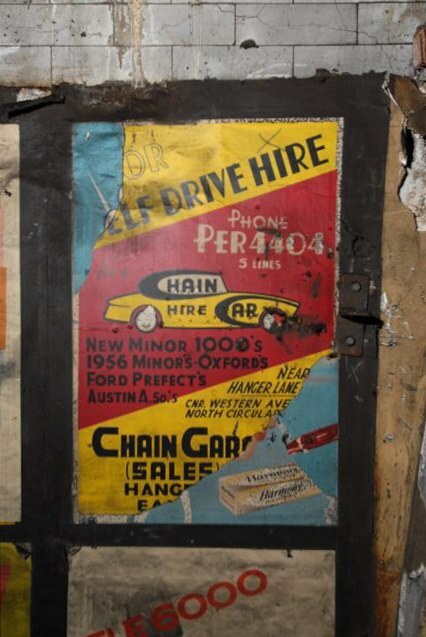 It uses a four-digit telephone number to advertise its Morris Minor 1000s, Ford Prefects and Morris Oxfords. 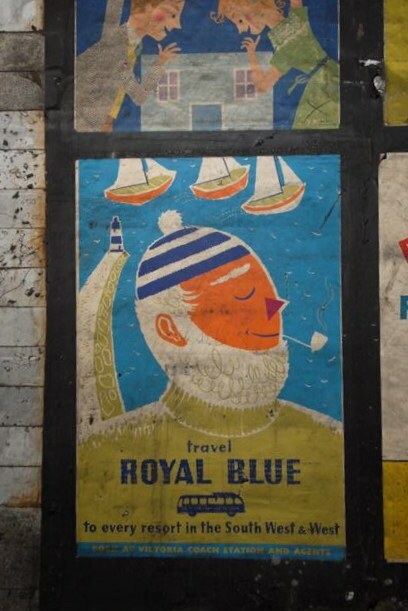 The advert for the coach services provided by Royal Blue offering services to the South-West and West Country show how people got around in the 1950s long before the availability of cheap flights. 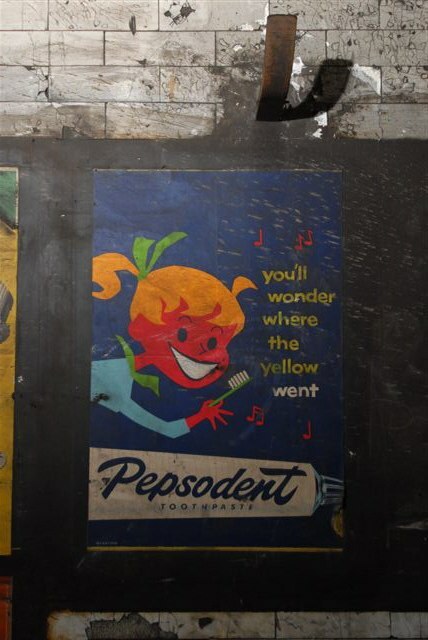 The style of the posters, such as this one for Pepsodent toothpaste, was new in that it targeted the public’s desire for consumer products away from the austerity of World War II. 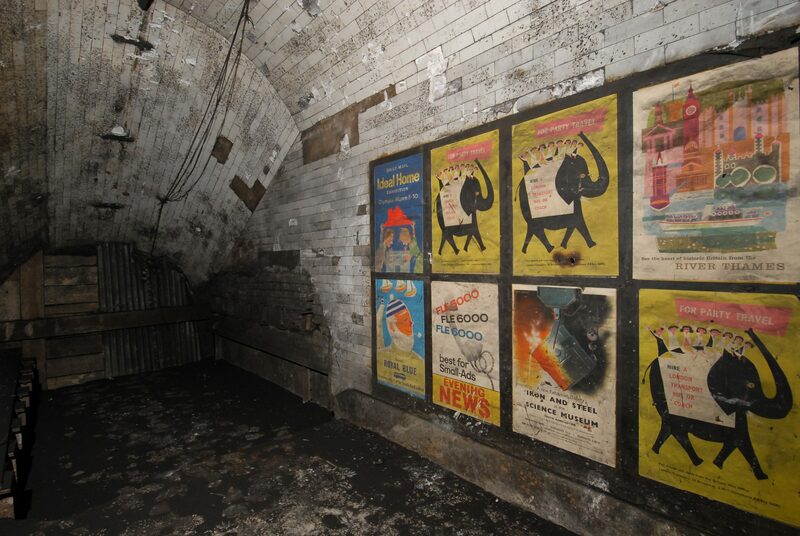 All Images provided by Mike Ashworth, London Underground’s Design and Heritage Manager. 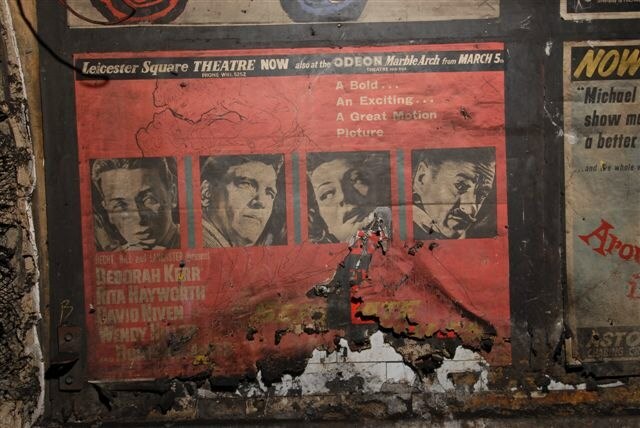 Reproduced with permission from London Underground.